My latest project rifle is an NRA High Power competition rig (for 600-1000 yard prone) that will be built on a Barnard Model P single shot action. The fist step in this journey was choosing a caliber. After some thought and research with my ballistics calculator, I settled on the 6mm XC. The action is on order from MT Guns. So what's next? The rear sight. Why? No reason. It just seemed like something to get started on since there is so much involved in choosing a sight setup (my vision is a challenge that has to be dealt with). If you take a tour around the Internet you'll find that several companies make rear sights suitable for long range prone shooting, but the model that comes up as recommended is almost universally one of the Warner Tool Company units. Usually, those recommendations are quickly followed by "if you can afford it". But I'm looking to keep this rifle for a long time and compared to a high end scope (have you priced out a high-end Nightforce recently?) even the Warners look comparatively cheap at $570 (at the time of this writing). Among other products, Warner Tool makes two basic rear sights, simply named the #1 and the #2. The difference between the two (other than $20 on the price tag) is that the #2 has more windage allowance: +/- 30 MOA compared to the #1's +/- 18 MOA. With that increased range, there is a slight increase in the overall width of the sight. A little time playing with the Bison Ballistics Point Mass Calculator let me know that the #1 would likely suffice for the 6mm XC. But I don't know what caliber this rifle will be in the future (perhaps a .308 Palma setup some day?) so I decided to go with the #2. The Nebraska wind can get up there, so I'm comfortable with the choice. After a brief email exchange with Warner to make sure I wasn't overlooking something (this is my first match rifle - I've shoot exclusively service rifles in the past) I had a #2 sight on order. I also picked up a combination scope/rear sight mount machined to fit the Barnard action. Several weeks later, the action arrived at my door, packed carefully in bubble wrap. There is nothing special about the design of the Warner sight. It consists of an aperture (actually, just a threaded hole that accepts an aperture) that can be moved by turning knobs for both windage and elevation. The aperture rides on two sets of steel pins (for windage and elevation). The location of the aperture relative to the rifle is controlled by finely threaded rods attached to the adjustment knobs. The knobs click positively and are marked clearly with white ink. The force required to turn the knobs is enough to make it unlikely that you will do it accidentally, but not so much that you'll bust open a knuckle cranking on your sight. It's about as simple a setup as I can imagine. So why does everyone rave about these sights? Because when you put one next to a Rolex watch, it makes the watch look cheap and poorly made. The precision with which the Warners are made is remarkable. Every surface is flat and smooth. The joints are imperceptible. The finish is almost flawless. There is no noticeable play or backlash in any of the moving parts. It's study, simple, and well put together. You'll notice I said the finish was almost flawless. There was one minor blemish on my otherwise perfect #2 - some of the white ink that marks the "R" on the windage knob bled just a tad into the center of the "R". It's the only nitpick I could come up with - the sight is really, really well built. 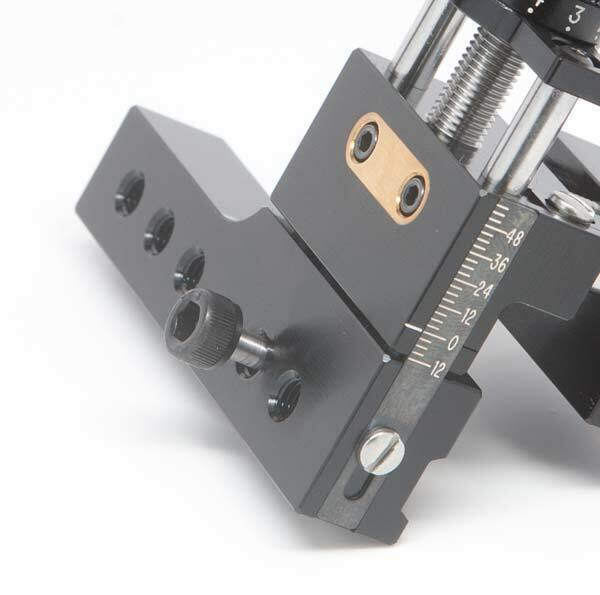 The Warner sight does not come with a rear aperture, but rather provides a threaded hole meant to accept one of your choosing. Vision is a personal thing, and what works for one shooter may not for another - so they leave the choice of aperture up to the customer. I haven't yet selected mine as I have a particularly troublesome set of vision requirements myself. Look for a future article as I sort out that mess. 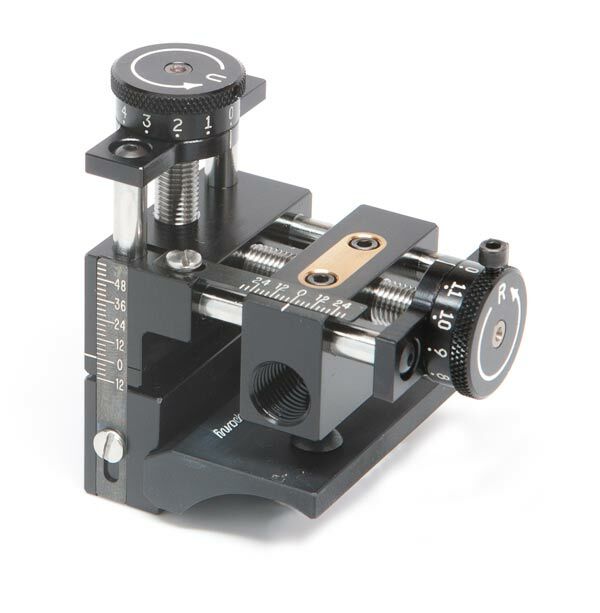 The Warner sight itself comes with it's own captive socket head cap screw that is used to lock the sight in place on a matching mounting block, which needs to be purchased separately and is specific to the rifle action used. This method makes it easy to remove and attach the sight during transportation. I want to be able to use this action for F class (that is, with a scope) and with traditional iron sights. The folks at Warner Tool suggested one of their combo mounts - a picatinny rail (also available with Weaver spacing) with 24 MOA of built in elevation combined with a rear sight mount designed to fit the Barnard's rear sight mount hole pattern. Sounded good to me, so I added that to the order. I was expecting a one piece unit, and was a little surprised that the "combo mount" was actually a scope rail and a separate rear sight mount that were machined in such a way that they could both be attached at the same time. I can't think of a reason this setup would be inferior to a one piece unit, but for $230 it seems a little pricey. No matter - it will do the job. Both pieces are made out of aluminum, and included mounting screws, which appear to be of high quality. As I said before, the rifle on which this sight will be mounted is not yet built, so I can't give an honest review of how the sight performs during live fire. Check back in the future - I have plans to test the tracking of this sight (a practice I recommend - if your sights don't track flawlessly, you should at least know where they don't). But judging by the build quality of this sight, I have high expectations.